Motivational Quotes is a classic revisited. 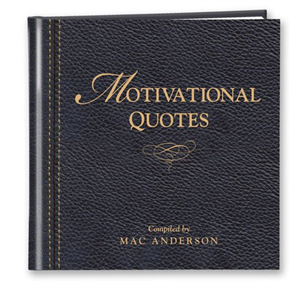 In 1985, Mac Anderson’s love of quotes inspired him to publish a small 80 page gift book titled Motivational Quotes. 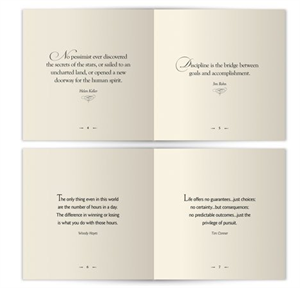 In just 18 months it sold 800,000 copies in hotel and airport gift shops. 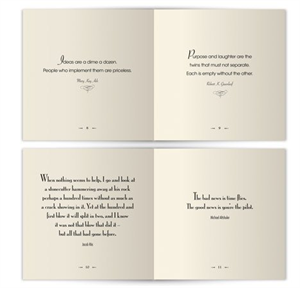 Mac then realized that people loved quotes as much as he did, and the big idea for Successories was born! Twenty three years have passed and we’re proud to present the new, improved, updated version of the original. It still has Mac’s 80 favorite quotes that were introduced in 1985, but he’s added 80 more, that since then, have helped to motivate him in good times and bad.